ROCHESTER, NY (WXXI) – Members of the restaurant industry are speaking out against a proposal to eliminate the minimum wage tip credit, saying it would negatively impact restaurants and their employees. Governor Cuomo announced in his State of the State address that he wants the State Department of Labor to examine the tip credit, possibly replacing tips with an increased minimum wage. 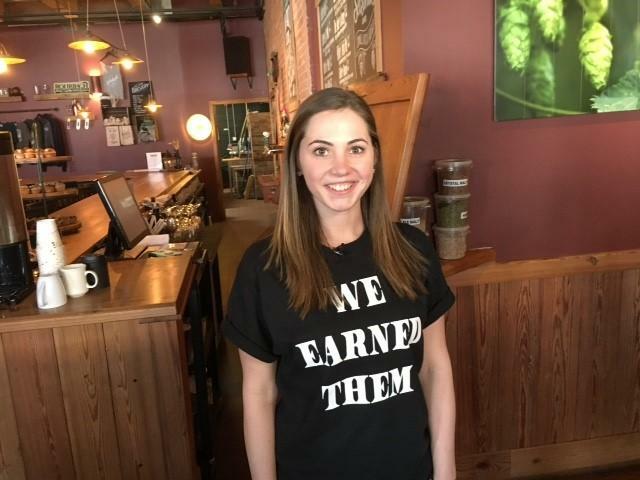 Courtney Wyckoff is a server at the Rohrbach Beer Hall in Rochester. She says without tips, she would have to reconsider her line of work. 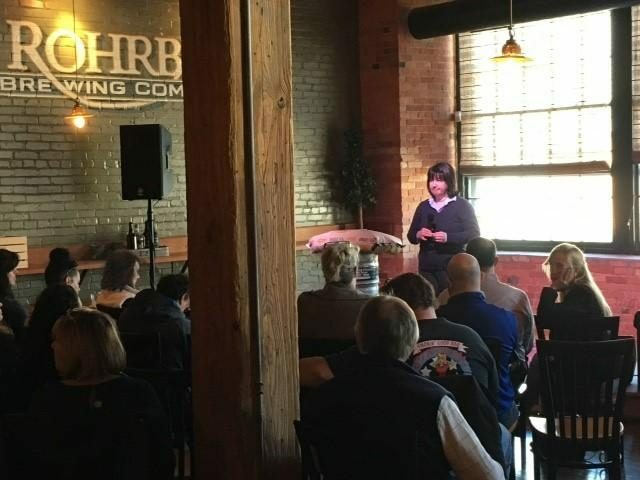 President of the New York State Restaurant Association, Melissa Fleischut, met with restaurateurs, servers, owners and managers at Rohrbach’s in Rochester Monday morning. She calls this is a lose-lose proposition. “Well it’s definitely not good for our restaurant members, it’s not good for their employees, they’re definitely hearing concerns about loss of tip income should they go to full minimum wage, they’re concerned the customers will tip less,” she said. Owner of Rohbach Brewing Company, John Urlaub, says many in the industry who met with the Restaurant Association were unaware of the proposal to eliminate the tip credit. He also sees it as a negative for the industry. A public hearing on the proposal to eliminate the wage tip credit will be held in Syracuse on March 12th.